Special edition red iPhone 8 and 8 Plus models may be heading for a release within the week, according to industry insiders and experts. An internal memo from mobile carrier Virgin Mobile stated that red iPhone 8 and 8 Plus smartphones would be placed in its inventory system starting April 9. This will be in conjunction with a launch announcement from Apple, as exclusively reported by MacRumors. 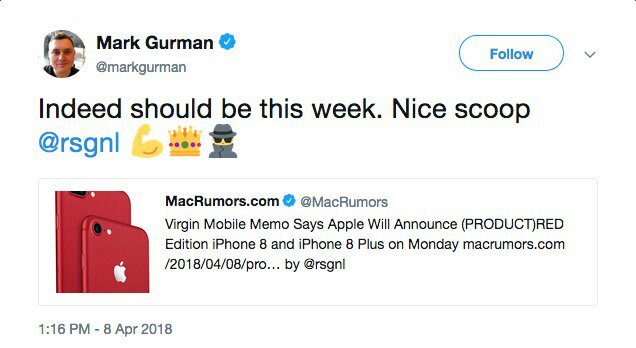 Mark Gurman, who covers Apple products for Bloomberg News, also believes the new iPhones should come out within the week. This new information coincides with previous reports from Rosenblatt Securities analyst Jun Zhang and Steve Hemmerstoffer of OnLeaks, which hinted at upcoming red-coloured iPhones. Apple also released a limited edition red version of the iPhone 7 in March 2017. 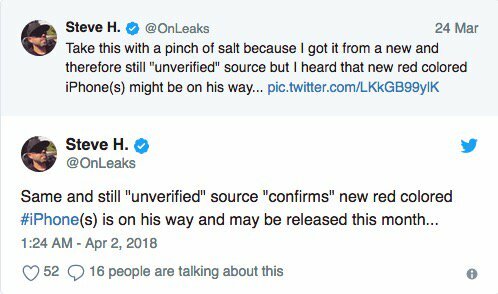 The memo further states there will be pre-orders for the new red iPhones. This suggests that the red iPhone 8 may not be available to ship immediately. Customers may need to wait until the end of April or later to get their hands on a new red iPhone.